Lady Arabella Blydon has beauty and a brain, and she’s tired of men who can see only one without the other.When a suitor tells Arabella he’s willing to overlook her appalling bluestocking tendencies on account of her looks and fortune, she decides to take a break from the Marriage Mart. During an extended stay in the country, she never expects to meet Lord John Blackwood, a wounded war hero who intrigues her like no other man.Lord John has lived through the worst horrors of war… but nothing could have been as terrifying to his tormented heart as Lady Arabella. She is intoxicating, infuriating… and she makes him want to live again. Suddenly he’s writing bad poetry and climbing trees in the pitch-dark night… just so he can dance with her as the clock strikes midnight. And even though he knows he can never be the sort of man she deserves, he can’t help wanting her. But when the harsh light of day replaces the magic of midnight, can this tormented soul learn to love again? Lady Arabella is independent and has had to turn down several marriage offers because its obvious that it isn’t her they want but her fortune, so she decides to take a break and stay with her cousin and her husband in the country. 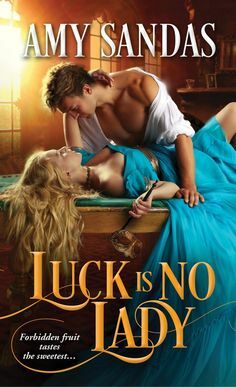 While reading, Lord John finds her and through some witty and entertaining interaction they begin to fall for each other….however John is a wounded war hero and has some ghosts in his past and is unwilling to put Arabella at risk…even if that means giving her up and the love he has for her. Arabella is determined not to lose the one man she has come to love, one who respects and loves her for who she is and not what she is….but will she be able to show this tormented man how to learn to love and more than that learn to let go and live life once more? John, has recently returned from the war, and having received a title and earned enough to purchase a small estate, has decided to reside in the countryside….especially with a wounded leg that will never heal fully. John has a tortured past…one that haunts every living moment and the moment Arabella enters his life he refuses to put her in arms way….but it soon becomes apparent that his feelings for her go deep…enough so that he knows he could never truly give her up…even if they have to fight the demons of his past together. Arabella has always wanted to find true love and has never managed to find it….and even though she is a bluestocking she knows that could never expect anything less than a love match. 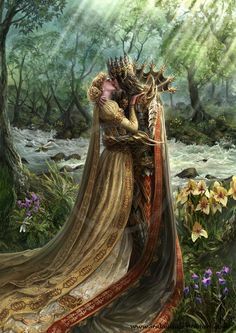 When she finds herself finding a intense love for a wounded man she knows that she will have to fight to win his heart and prove to him that their love will be enough. Dancing At Midnight is the second in the Splendid series….and the first time I have read this book…even though I could have sworn I had read every one of Julia Quinn’s books already. I have no idea how I missed this one before now…but I am just so glad that I found this treasure. One of my favorite things that I loved about this one….is that the hero was a complicated characters….and that he wasn’t this just about perfect man…that he had flaws and demons and Arabella was such a sweet character…you couldn’t help but like her…she had such charming qualities about her. Even though there was a dark side to this book it also was filled with laughter and a sense of carefreeness (is that even a word? if not I just created a new one) that just endeared me from the first page to the very last and now I am thinking I need to read the rest of the series again. Dancing at Midnight was a true romantic romp….and I had such a fun time reading this one!!! Definitely a keeper!